A US man whose murder conviction was the focus of the popular Netflix series Making a Murderer will have his case re-examined by a court in Wisconsin. 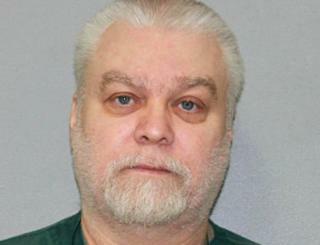 Steven Avery is serving a life sentence for the murder of young freelance photographer Teresa Halbach in 2005. He says he is innocent. Avery has won a motion to appeal based on possible human bones found in a gravel pit. His lawyer says they were not tested for DNA and were given to the Halbach family, a violation of state law. Kathleen Zellner, who filed the motion, said the return of the bones meant that potentially crucial evidence in the case had been kept from further testing. Avery and his nephew Brendan Dassey were both sentenced to life in jail - in separate trials - for killing Ms Halbach, whose charred remains were found at Avery's car salvage yard a week after she went there to photograph a minivan for sale. If the bones - found near the Avery property - are found to belong to Ms Halbach, Ms Zellner says it undermines the prosecution's theory that she was killed on the Avery property. "This evidence has the potential to undo the whole case, so it is a big win," she told Newsweek magazine. Evidence related to the bones can now be submitted. On Twitter, Ms Zellner said: "We are going to have an extraordinary number of constitutional violations when we are done. The [court of appeals] is letting us create an avalanche of evidence in this record. Higher courts rule." Making a Murderer cast doubt on the legal process used in the investigation and subsequent court cases. Avery previously served 18 years for another crime he did not commit.